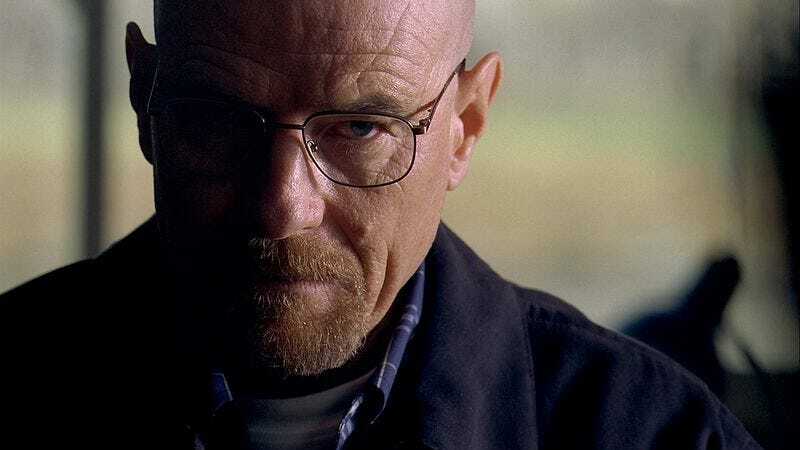 While negotiations continue between AMC and Sony over the future of Breaking Bad, Deadline reports that things are looking much more positive than they did a few days ago, with “all sides confident” that the show definitely will finish out its run on the network it helped to build. (The fact that FX reportedly was interested in taking the series off AMC’s hands probably didn’t hurt.) Even better, all this leveraging could end up benefitting you, the viewer: Sony has upped its request from 13 to 20 additional episodes, with the final seven potentially existing as their own standalone season. So it’s quite possible that we could get two more full years of meth-fueled misery. Just think of how many more lives can be ruined in that time! Who knows—by Breaking Bad’s finale, Walter’s quest for self-preservation may end up destroying an entire city.